Jewish tradition perceives children as deserving of our greatest resources of time and energy. A wide range of programs geared to the needs of the youngest members of our community will help create an environment that is both physically and spiritually nurturing. The teen years are the most crucial in the development of personality and character. Today's teen has so much opportunity. Along with those opportunities comes great responsibility to navigate one's way through an increasingly complex world. Education must never end. To grow, one must constantly be learning. Jewish adult education classes need to be given in an intellectually stimulating and non-judgmental context. Respecting our elders is a basic precept in Judaism. As one gets older, one's soul gets stronger after having done more good in this world. 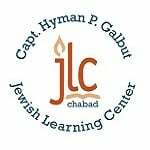 Parenting Workshops, Hebrew and Yiddish Language, Chassidic philosophy, Mysticism, Holidays, Ethics, Kabbalah, Talmud, Lunch N' Learn, Jewish Learning Institute, Kosher Week, For Women Only Lectures, Music, Art, Kosher Cooking. Guest L ecturers On: Education, Discipline, Language Development, And Relevant Topics. Senior Center : In-Depth Study, Luncheons, Speakers and Entertainers. The synagogue. A common perception is one of boredom and monotony. On the contrary, a synagogue is meant to make Judaism come alive and grow within every participant. By remembering the events of the past we keep them alive every year. 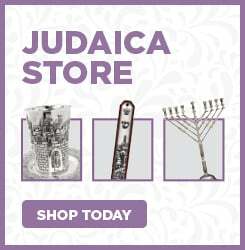 Jewish holidays not only commemorate historical events; they have vital spiritual meanings and messages for all times. Not to mention that they provide a rip-roaring good time. Let's face it. No one can survive as an island. We need one another to form a community. To live life, one needs to be a part of a greater whole to share in good times and deal with life's challenges.